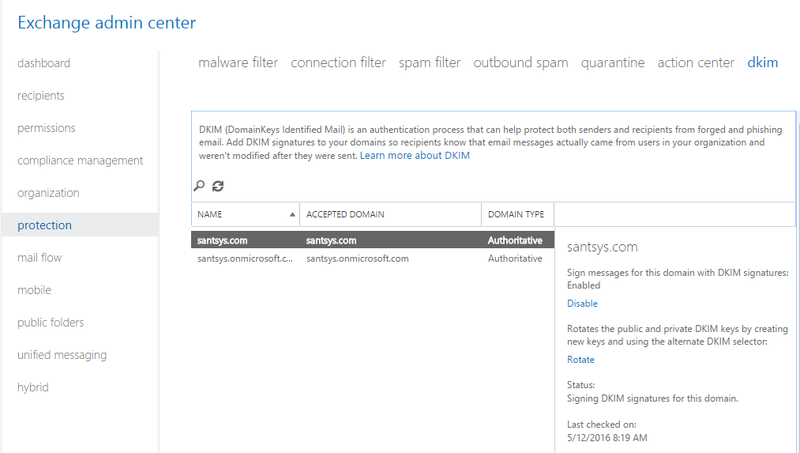 To learn some more about DKIM on Office 365, check out this TechNet article, learn more about DKIM. 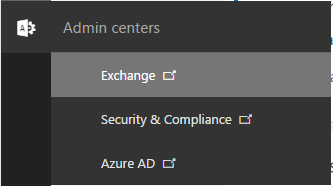 To access the DKIM settings for your account, you need to open Exchange Admin from the Office Admin portal, this can be accessed from the Admin Centers menu options. Once open, you can access the DKIM settings by clicking on Protection then DKIM. Once all of that is enabled, you will see DKIM results in you e-mails headers, and in places like GMail you will see Mailed By and Signed By. This verifies that messages sent by you were not modified during transit. Once all that is setup and working, e-mails you send will be verified. This helps limit things like phishing scams and other sorts of email spam.